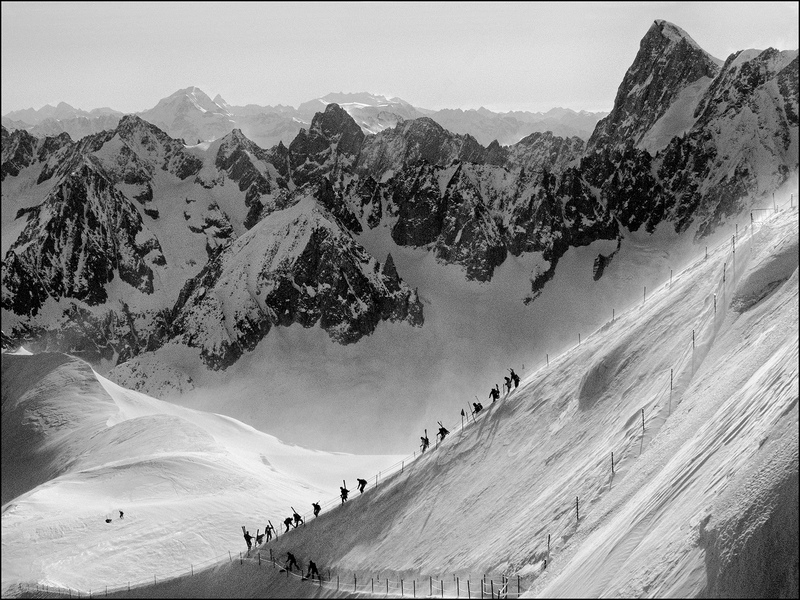 This entry was posted in MountainScape and tagged Aiguille du Midi, Alpinism, Black and White Photography, Breithorn, La Vallee Blanche, Photography. Bookmark the permalink. These are gorgeous in monochrome, Andy. You are right, people in the landscape give it perspective. I love capturing a “tiny” person in my landscapes. Well done. Thanks Jane. Snow, in particular, seems to distort our impression of distance. wow, dashing activities and a great photo. Really nice compositions, Andy, and the people add a lot of interest. Good range of tones, too. The more I look, the more I like these (and I liked them a lot to begin with)! Wow, Andy, what stunning images! You’re absolutely right about the value of including people in these frames. And in the second frame, I especially love how the trail continues ahead of the climbers, trailing off into the distance. Spectacular! Thanks Heide. Yes, that hint of a trail tracking rightwards makes such a difference to this image. I don’t ski myself, Andy, but I really love the scenery, especially as you have shown. 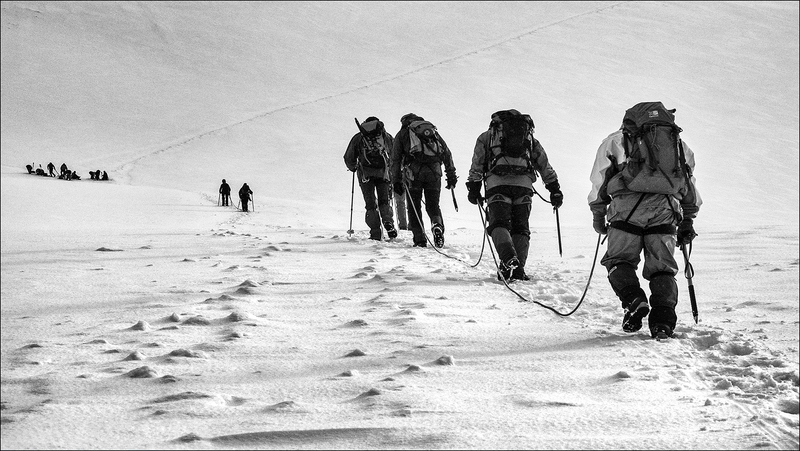 Monochrome is a perfect way to go for these images. Great photos and words, Andy. I, too, am increasingly becoming a fan of monochrome. It’s something new to try and I find I’m reasonably good at doing the colour -> B&W conversions. Hi Frank. Glad to hear you’re becoming a convert of B&W – is a wonderfully flexible medium. If you haven’t discovered Silver Efex from Nik, it’s a great Plug-in and provides a lot of ideas from a range of presets. The people in the landscape certainly makes a difference. A great set of monochromes, Andy! Thanks Lynn. I’m back in the mountains as I write, more images will follow.